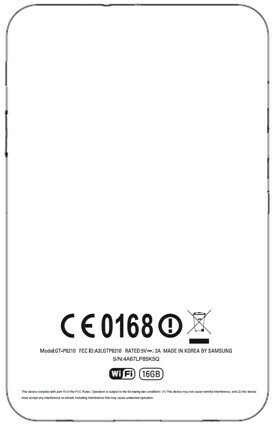 The Android Honeycomb packing Samsung Galaxy Tab7.0 Plus has successfully passed through the FCC signaling that its release into the tablet market is just around the corner. The Galaxy Tab 7.0 Plus will join what is becoming quite the extended family of tablets offered by Samsung. The Galaxy Tab 7.0 Plus will replace the original Galaxy Tab that was released last year. When the original 7-inch Samsung tablet launched it was powered by Android 2.2 Froyo and has since been updated to 2.3 Gingerbread. In addition to offering a better Android tablet experience courtesy of 3.2 Honeycomb, the Galaxy Tab 7.0 Plus is fueled by a dual-core 1.2GHz processor and 1GB of RAM. It has a pair of cameras as well; a 3 megapixel shooter on the back with 720p HD video recording and a front-facing 2 megapixel shooter. The Galaxy Tab 7.0 Plus should be a great choice for users that feel a 10.1-inch screen is too big for a tablet. A 7-inch screen fits in nicely between the smartphone screens of today and computers. 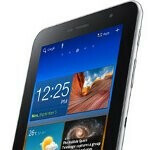 Now that it has been given the thumbs out by the folks over at the FCC keep an eye out for when the Samsung Galaxy Tab 7.0 Plus will come to a retailer near you. Will this be just wifi, or will there be a 3G variant?? It is going to have an HSPA+ radio built-in for theoretical download speeds of 21Mbps. No word yet on which carrier will offer it, however.